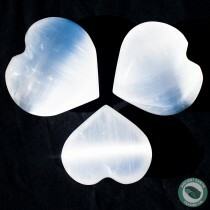 Selenite Hearts - Ancient Earth Trading Co.
Each heart is shaped by hand from either White or Red Satin Spar Selenite! Our Selenite products are all selected from the highest quality Selenite Rough available for clarity and luminance. All of our Selenite products are handmade by artisan workers in Morocco. Red Selenite Heart 6 cm. 2.36 in. 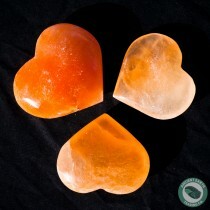 Selenite Heart 6 cm. 2.36 in.